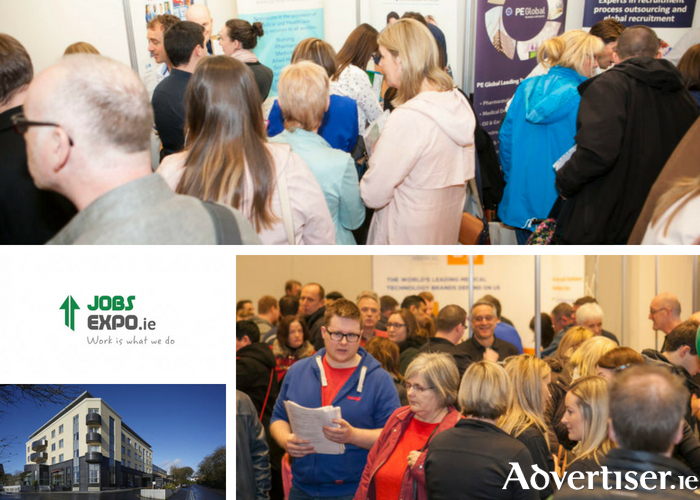 Advertiser.ie - Jobs Expo Galway Returns - Saturday 8th of September! Jobs Expo is returning to Galway! Jobs Expo Galway will be held at the Salthill Hotel, Promenade Galway on Saturday 8th September 2018 (10am-4pm ). Jobs Expo Galway will feature hundreds of active job opportunities at home and abroad and is the only careers exhibition of its type to feature FREE ADMISSION. With unemployment still at a high level in Ireland, Jobs Expo Galway will provide job seekers with real opportunities to find new employment. What can you expect at Jobs Expo Galway? Employers actively recruiting for hundreds of jobs at home and abroad Specialised areas dedicated to jobs in particular industries. Start your own business experts offering advice and support networks. The Career Clinic offering one-to-one CV, job seeking and career advice from professional career guidance counsellors. A packed seminar timetable on important and topical issues by a range of industry experts and Specialised job zones. In addition, Jobs Expo will also include a general jobs area with employers that do not fall into any of the above categories. The Career Clinic offers the chance for attendees to meet with professional development coaches. They can help candidates with crucial issues such as interview skills, CV presentation and changing career direction. Jobs Expo Galway’s Agenda Stage will host talks on a variety of topics including jobseeking skills such as using social media to land your dream job and interview techniques as well as a CV writing workshop. Other seminars include talks by industry insiders on a variety of career topics. In addition to a wide variety of exhibitors recruiting at Jobs Expo, visitors can avail of free, one-to-one advice on improving their CV and job seeking skills at our Career Clinic, and enjoy topical, engaging expert speakers discussing career-related topics at our Seminar Zone. Jobs Expo look forward to seeing you there! Page generated in 0.1342 seconds.